So have you been following the comics? Last update, I made some predictions.. all of it turned out to be wrong however, in Chapter #5. Was guessing Frost will be killed, however Cassie Cage shows us she isn't a killer and saved Frost. Was also guessing Sonya Blade or Erron Black to make the Fatality list, but that too turned out to be wrong. And.. enter the Black Dragon & Red Dragon clans.. Outworld is split by Kotal Kahn's rule and Mileena's band of rebels & traitors. Black Dragon are allied with Kotal Kahn while the Red Dragons are with Mileena & Reiko. Chapter #6 has been the best issue so far, with the origins of Kotal Kahn explained. It's strange to think that Kotal Kahn won't be Mortal Kombat X's Boss considering how much the comics are focusing on his character. Disappointing actually..
Chapter #7 details the civil war that Outworld is experiencing at the moment. With Kotal Kahn's rule opposed by Mileena and her partner, Reiko. Even then, there seems to be something else going on where Reiko is using Mileena, rather than the other way around. Mileena and Reiko however, have strong allies with Goro, Rain, Mavado and the Red Dragon clan. On Kotal Kahn's side are the Black Dragon and Reptile, along with new characters, D'vorah, Erron Black, Ferra & Torr. Reiko looks sick with this Shao Kahn-like armour! A reference to the Mortal Kombat movie where Kano and Goro talk at the table? Anyway.. Kotal looks set for revenge and there's going to be a huge war coming. I have been bad at predictions recently, but something tells me Goro might die and the heart that we saw Kotal eating is his. 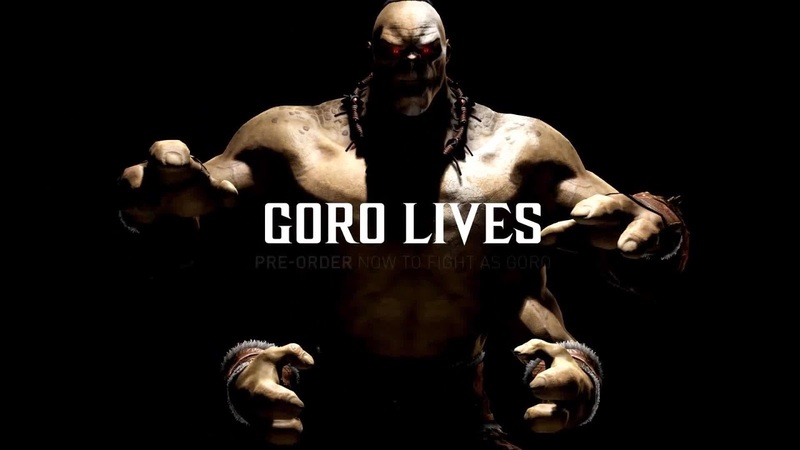 The 'Goro Lives' tag for MKX might have something to do with it.. Since Goro is a DLC character, rather than being in the game, I just get the feeling he isn't in the actual game but included as a playable fighter as fan service. Similar to MK9, where the DLC characters aren't in the story. Anyway, not sure if I'm getting the timeline right but this backstory about Kotal Kahn should be before Kotal comes to Earthrealm for help in Chapter #4, so it looks like Mileena & Reiko do, in fact, take over Outworld. Let's see. Chapter #8 should be out anytime soon!